Dee Rees, Bessie, 2015, HD video, color, sound, 112 minutes. Bessie Smith (Queen Latifah). Photo: Frank Masi/HBO. 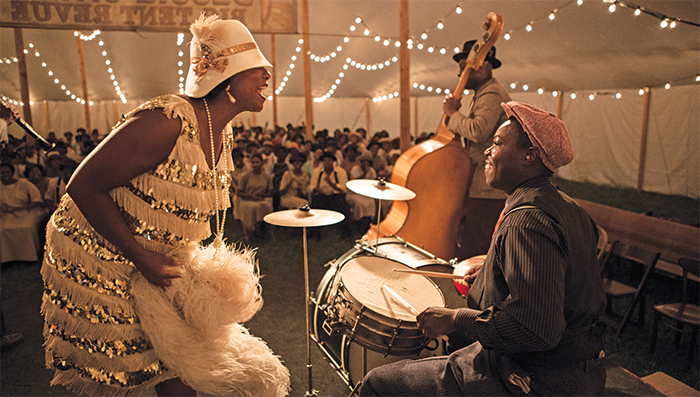 BESSIE SMITH'S LIFE and career were short. Born in 1894, she began singing on the streets of Chattanooga, Tennessee, around the age of ten. By the time she died, at forty-three, in 1937, she had toured the US many times, written and recorded an enviable number of classic songs, and established herself as a major interpreter of the blues, earning her the sobriquet “Empress” of the genre. She had even appeared in a film, Dudley Murphy’s two-reel musical short St. Louis Blues (1929), which took the title of the W. C. Handy composition she had made into a hit record four years earlier.